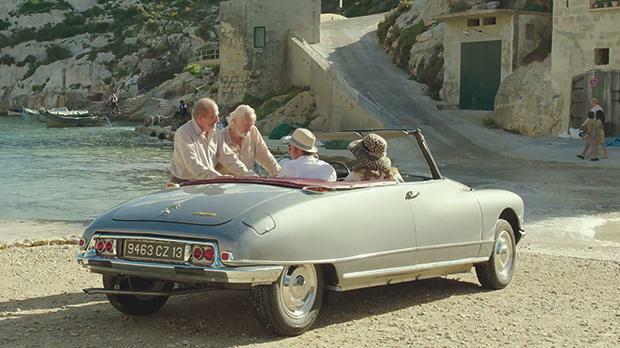 Old motors add to Malta’s attraction as a filming destination, Joseph Busuttil from the Old Motors Club says. Take 1, scene 1: On a freezing February evening, an Italian ship coming from Genoa battles big waves as it berths in the Grand Harbour area. The cargo hold opens and a new four-wheel-drive Mercedes comes out, pulling an attached closed trailer. The driver exits and meets his Maltese contact. All formalities quietly conducted, they quickly pass through customs, with the necessary documents having been processed beforehand. The Maltese drives off in his car, closely followed by the newly arrived vehicles, to an unmarked destination off the beaten track. On arrival, the Mercedes and the trailer, which are physically and electronically attached and cannot be released from each other, are garaged for the night, and the sophisticated security system is turned on. A 1922 priceless and historic Hispano Suiza, insured for €2.5 million, has finally arrived on the island, ready for the next day filming of the National Geographic second series of Genius, now featuring well known actor Antonio Banderas in the role of Pablo Picasso. Cut to Kalkara, the location of the Malta Film Commission and the Malta Film Studios in Rinella, the frequent port of call for foreign productions wanting to shoot in Malta. From very modest beginnings 90 years ago, the industry has grown into a flourishing business now attracting regular productions of full feature films, television series, and commercials, some of which require veteran, vintage or classic cars. Examples of successful productions featuring famous performers include films like Pulp, Shout at the Devil, Battle of the River Plate, Munich, Devil’s Double, By The Sea – the list is impressive. Every car used in a film is indispensable for the full realisation of the main character. When a producer needs era vehicles, the detailed requirements are sent to a local service provider or an action vehicles coordinator. In turn, these agents inform their local old motors contacts of the needs, and eventually a list of old cars and their photos is compiled and sent back. After going carefully through it, the producer then draws up a short list, and a final selection is decided upon once the production team arrives in Malta. Providing old vehicles to film productions is not without its headaches. In Malta we drive on the left, while most of the world drives on the right. With their meticulous eye for detail and faithful reproduction of the original setting, many producers insist on having left hand drive cars, and it is not always easy to fulfil their demands. There are a number of such cars in Malta, but at times some are brought from abroad. On occasions owners are asked to drive their own cars during filming, as this makes more sense for the production team. Some owners tend to be overprotective of their old motors, and insist on driving them themselves. While this is agreed to in the filming of long shots, they would then have to cede their place to the main performers in the close up scenes. John Magri is one of the sources agents contact when film producers outline old motor requirements. Running the ABC Garage and a small fleet of classic cars, as well as being on the committee of the Malta Old Motors Club, he says that fulfilling foreign needs is not always a walk in the park. Magri was the liaison person with the driver of the Mercedes and the Hispano Suiza trailer during the week he stayed in Malta earlier this year, ferrying and following him around all day until late in the evening. As an example of the thoroughness of the producer, Magri cites as an example the fact that team members were in Malta days before the arrival of the Hispano Suiza, and requested him to trial run one of his old cars, a similar-sized 1926 Wolseley, on all the routes that the imported car was to be driven during the actual filming. The shooting took place in a number of locations including Attard, Mtaħleb, Miżieb, Marsaxlokk and Girgenti. Magri also provided an old scooter and a number of classic cars to the production, with other old vehicles being supplied by other old motors local owners. Providing old motors to foreign film producers gives their owners the unique opportunity of coming up close and personal with stars of the silver and small screens. Magri says that besides talking to Banderas, he has met a number of well-known actors and actresses, including Sharon Stone. 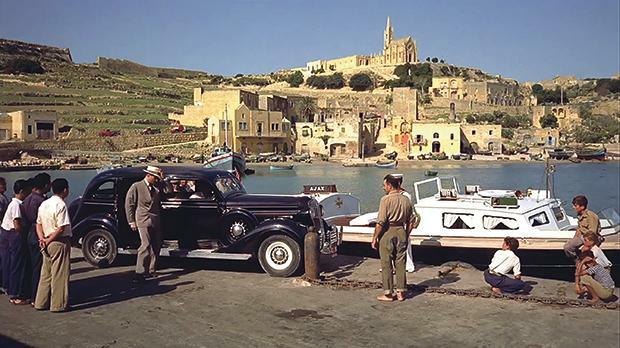 Dedrick Zammit met Brad Pitt and Angelina Jolie in Gozo when his 1957 Peugeot 403 was selected as a main transport feature for their film By The Sea. For many years his father, David, used to work for the Malta Film Studios, ferrying famous names around, including Rock Hudson, Robin Williams, and Jane Seymour, in his classic 1968 Mercedes Benz 114. Only one of his clients proved to be a problem: Paul Smith, of Bud Spencer fame, had too big and bulky a frame to fit into the comfortable Mercedes, and a larger vehicle had to be found for him while in Malta. Maltese owners leave no stone unturned in maintaining their cars in impeccable condition, and when one of their vehicles is selected to appear in a film production, it is considered as the ultimate accolade. Joseph Caruana was over the moon that his 1957 Hillman Minx Series 111 was twice given the nod. What drives producers in the direction of Malta? Making films is a very competitive industry, for there are many other alternative locations, but Malta offers attractive incentives. The island has an edge over the competition. The local package is very comprehensive: competent crews and very skilled workers, locations that can stand in for and replicate many other countries and foreign backgrounds, reasonable financial charges, easy accessibility to major capitals and cities, English being one of our two national languages, and last but not least, ten months of guaranteed sunshine ensuring that shooting is completed on schedule and within budget. Magri is also of the opinion that the availability of a wide variety of vintage, veteran and classic vehicles in Malta to suit every era, kept in showroom and running condition by dedicated and determined owners working with patience, pride and passion, is not lost on the eagle eyed producers. The author would like to thank the Malta Film Commission, Jean Pierre Borg and Alan Cassar. Devil's Double. Photos courtesy of The Archers (Battle of the River Plate), Three Michaels Film Productions (Pulp), Tonav Productions (Shout at the Devil), E-Motions (Eichmann), Universal Pictures (By The Sea).